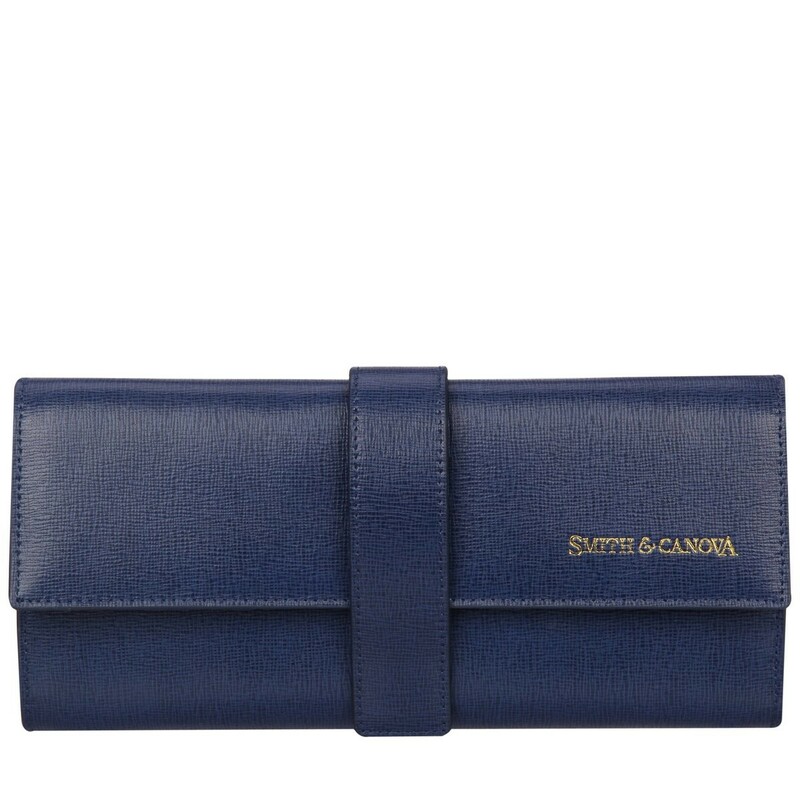 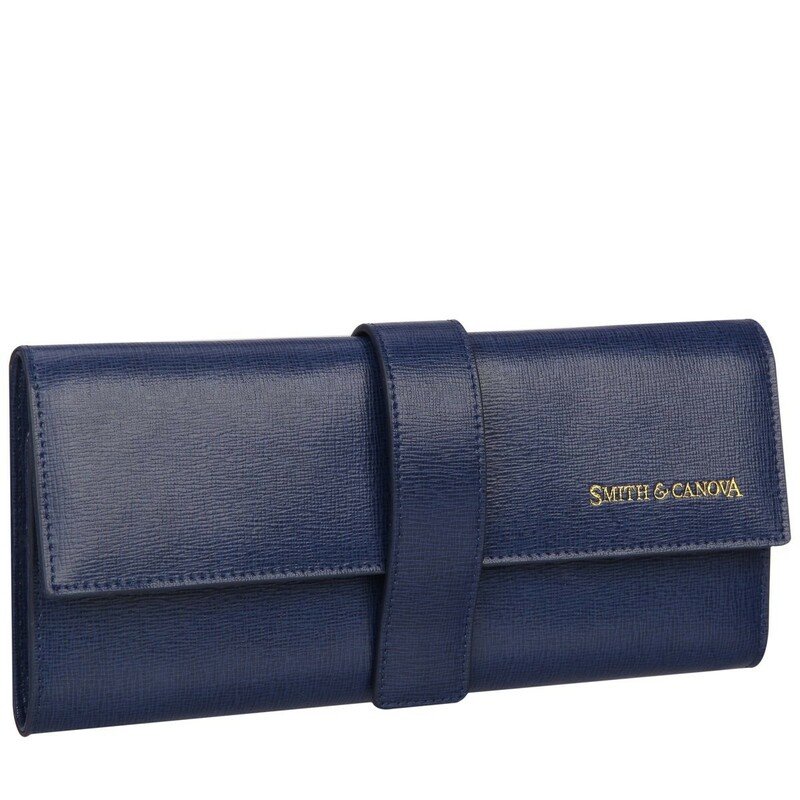 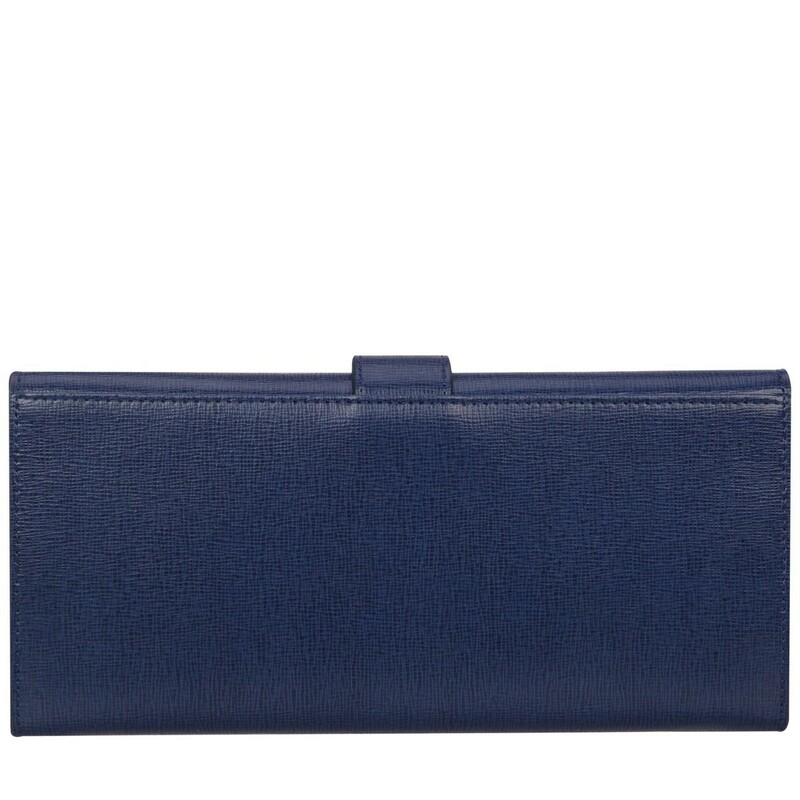 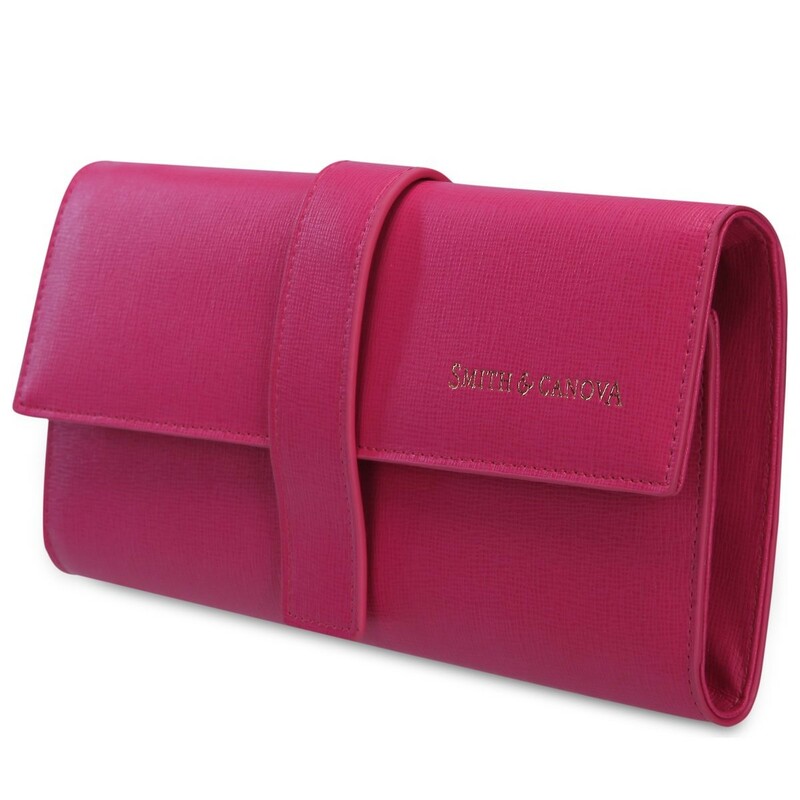 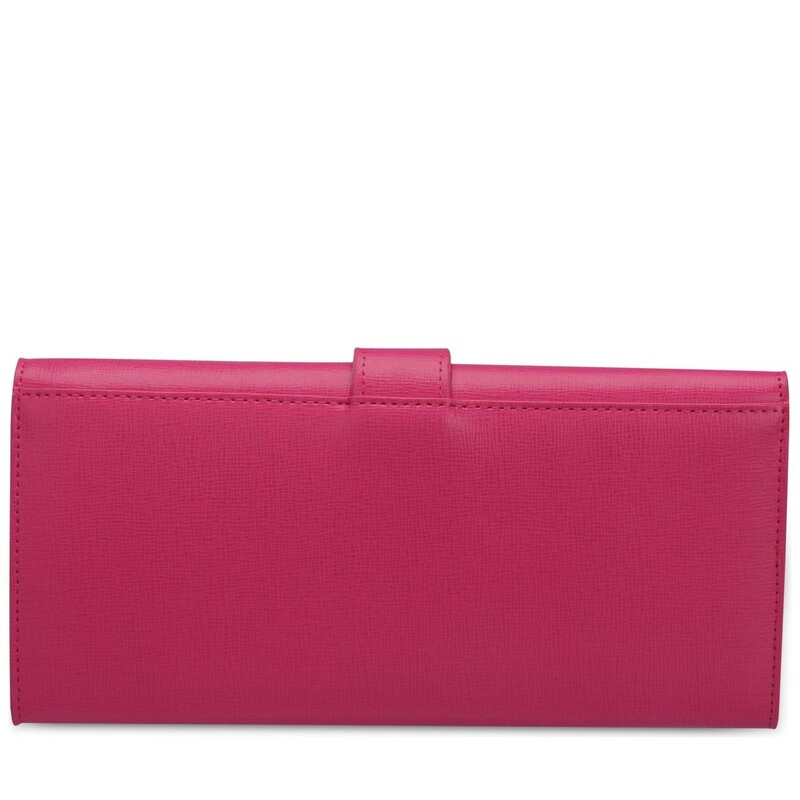 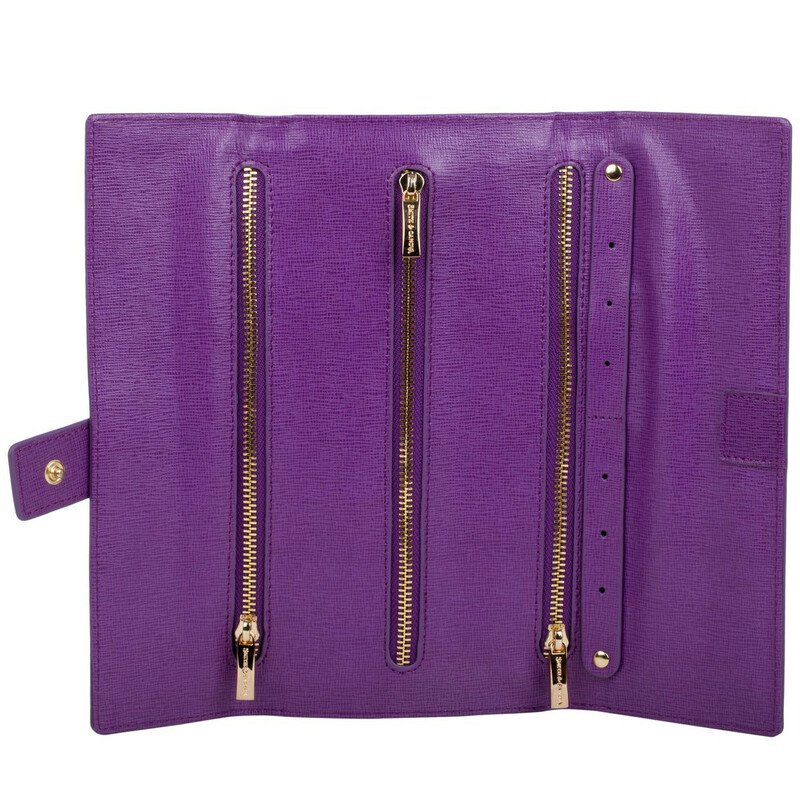 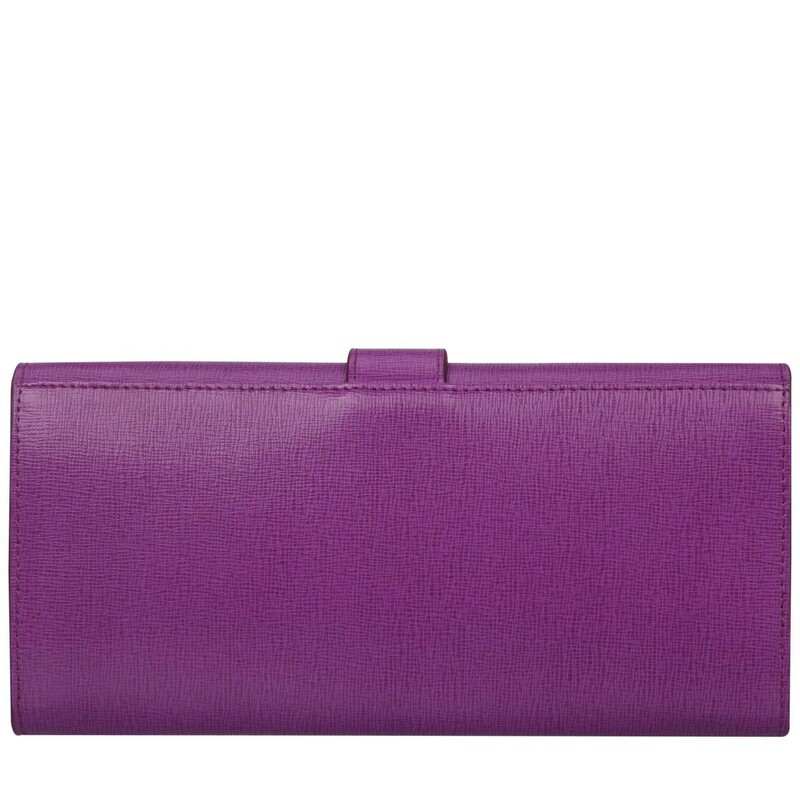 This gorgeous ladies jewellery roll, crafted in Saffiano leather, is the epitome of pure luxury. 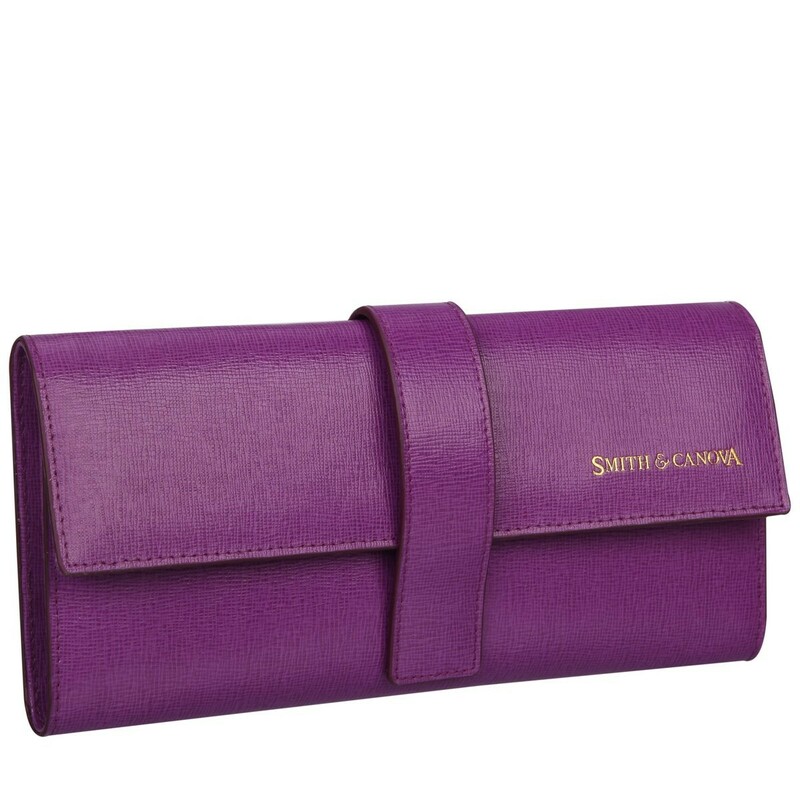 The snap tab closure wraps around the roll, keeping it's contents secure. 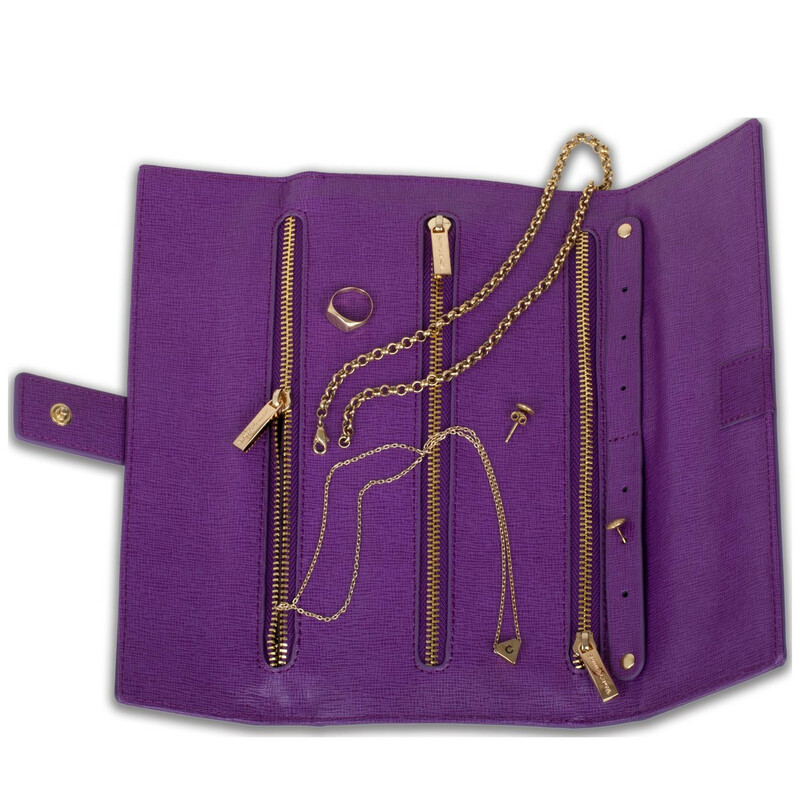 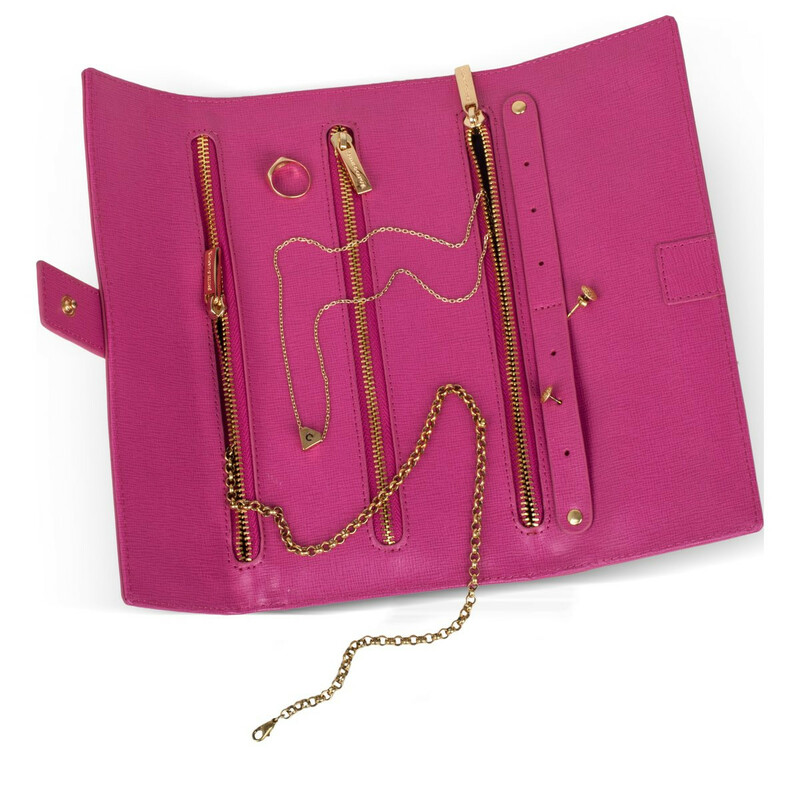 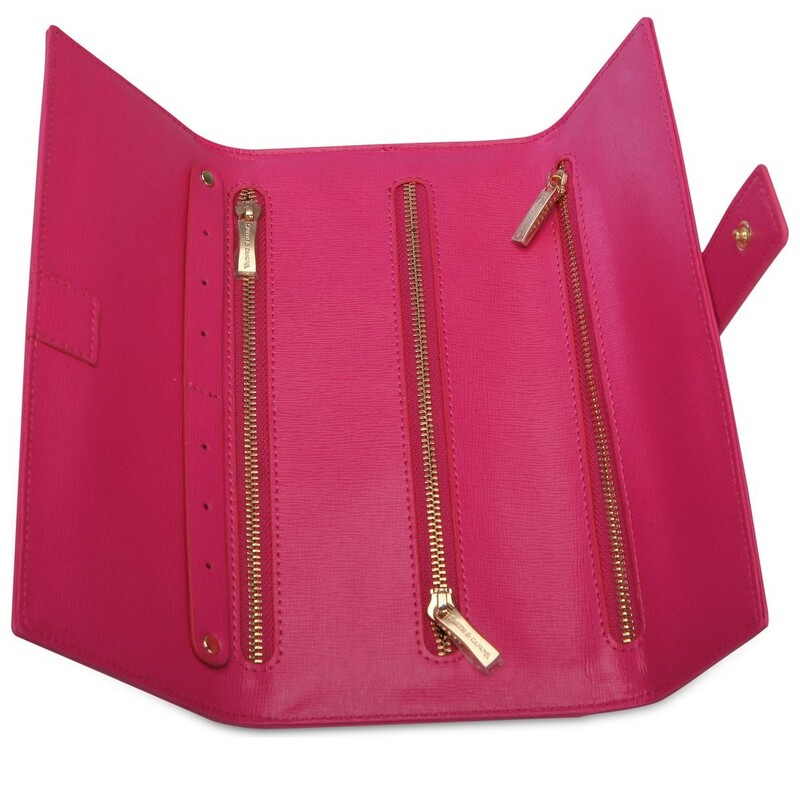 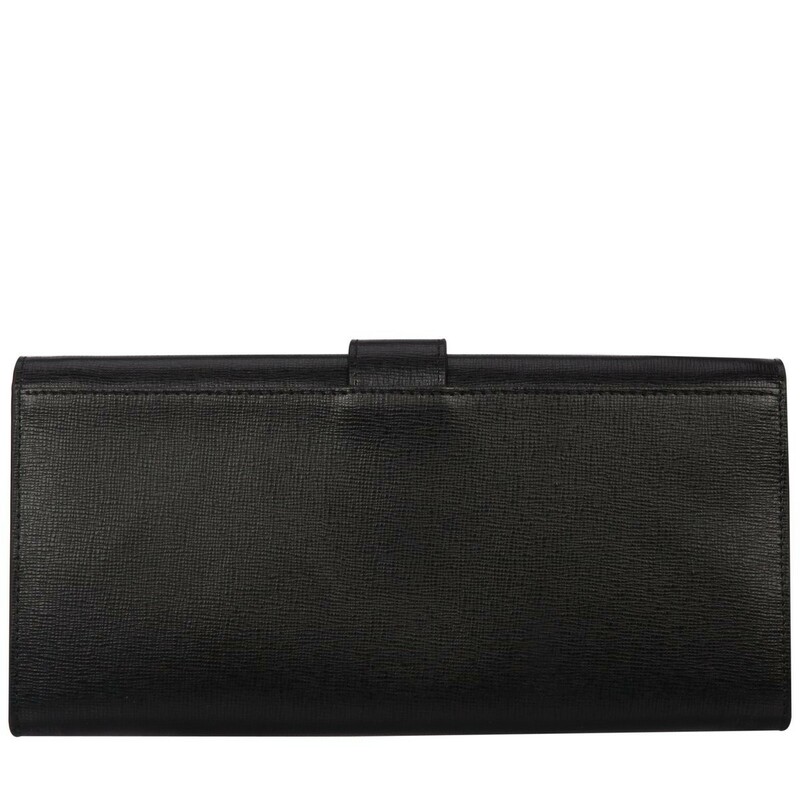 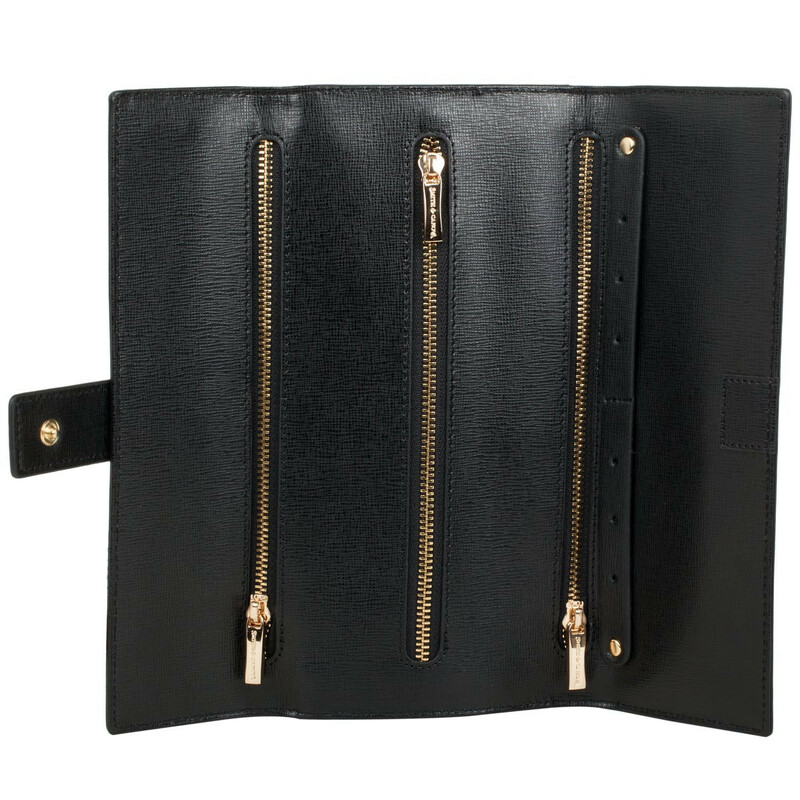 Inside reveals 3 x zipped pockets, perfect for necklaces, bracelets or rings and an earring strap, with holes for 3 x pairs of earrings. 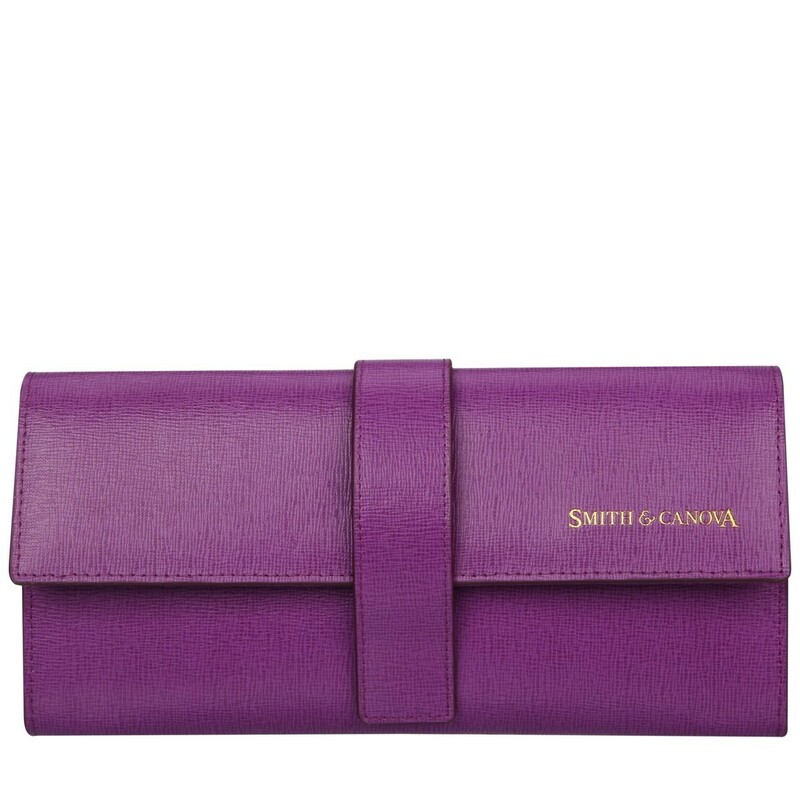 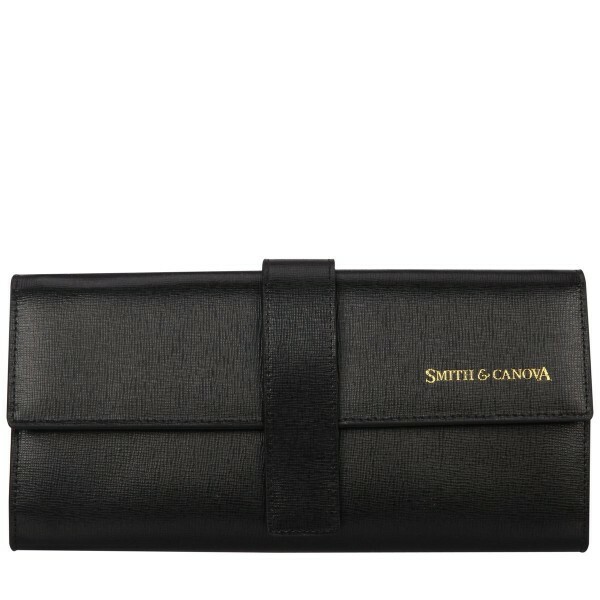 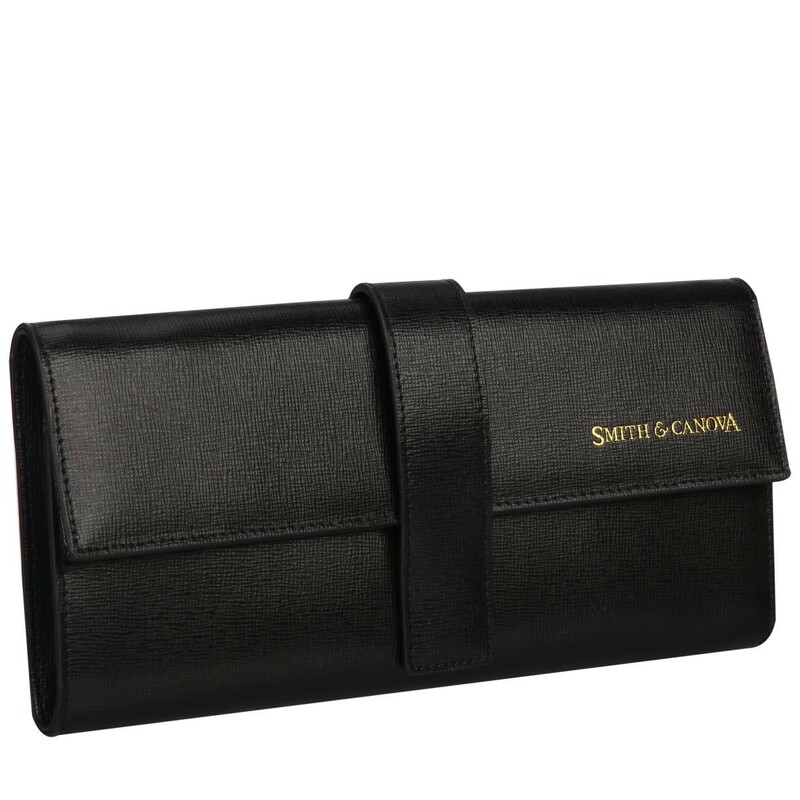 The Smith & Canova logo is embossed on the front and it comes presented in a branded gift box.